Samuel Doe was the head of state of the African nation called Liberia. He was born on May 6, 1951 in Liberia and belonged to one of the 16 major tribes of the country, Krahn. Samuel Doe was instrumental in staging a coup against President Tolbert and taking over the reins of power. 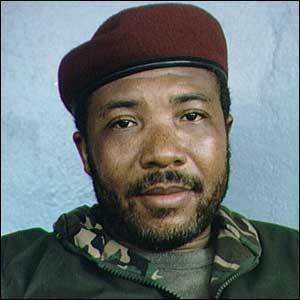 Samuel Doe ruled Liberia from 1980 to 1990, before being killed himself. The death of Samuel Doe plays an important role in the history of Liberia as it brought about many changes in the country -- some good and some bad. Samuel Doe was a soldier in the Liberian Armed Forces and he rose through the ranks because of his brilliance. He was also good combat fighter and a sharpshooter. During his time in the army, Samuel Doe was not at all interested in politics and was looking for ways to further his professional career. In Liberia, the power and highest position were usually given to Americo-Liberians, who were descendants of freed slaves from America and founded the African nation of Liberia in 1847. Although President Tolbert did everything in his power to bring the tribal communities of Liberia into mainstream but his corrupt government posed a major obstacle, which made the citizens of the nation extremely angry. Then on April 12, 1980, a group of 18 soldiers led by Samuel Doe staged a coup and killed President Tolbert. Immediately the coup was accepted by the people who were looking for a change. The initial years of Samuel Doe's reign were good and he was seen as pro-US head of state. However, gradually he became dictatorial and started imprisoning political opponents. In addition, the nation was in severe economic crunch and by the end of 1980s the country was nearly bankrupt. In September 1990, the death of Samuel Doe occurred by the hands of Prince Yormie Johnson after he managed to capture Doe. Samuel Doe was tortured before being killed. 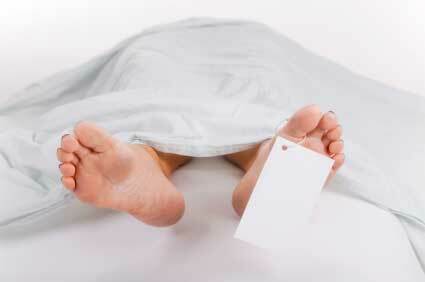 When a person is about to die, his body prepares for the onset of dying. There are many different ways how the body prepares for the onset of dying and they all seem to show one thing -- the body starts shutting down one system after another. More..